ANTIQUE BARBED WIRE ART IS A UNIQUE GIFT IDEA. THIS 18" X 14 1/2" HANDMADE RUSTIC SOUTHWESTERN ANTIQUE BARBED WIRE CROSS WALL HANGING WILL BE A GREAT ADDITION TO ANY SOUTHWESTERN DECOR. 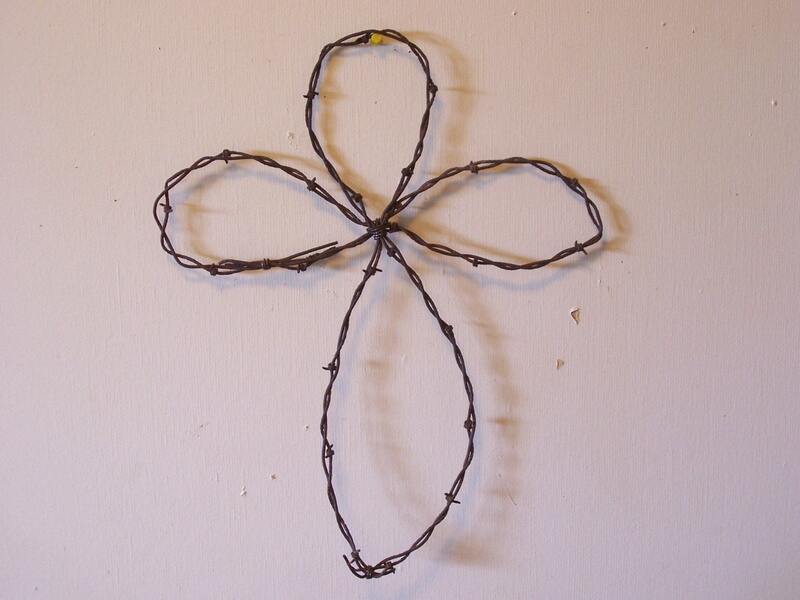 TIE WIRE IS USED TO HOLD THE CROSS TOGETHER.